Work to save and restore Flinders Street Station in the Melbourne CBD is ramping up. Premier Daniel Andrews joined Minister for Public Transport Jacinta Allan to announce the contract to transform Flinders Street Station, and reveal new details about the extensive improvements that will be delivered through the $100 million project. The heritage works to be undertaken include restoring and repairing the facade and roof, making the building structurally sound and watertight, conserving and stabilising the building structure, restoring the heritage clock tower and heritage elements and repainting the building, consistent with heritage requirements. New information boards and signage will also be installed, the dirty walls will be re-tiled and repainted, and the dingy toilets will be refurbished. Mr Andrews said Flinders Street was an icon of Melbourne and the heart of the train system. 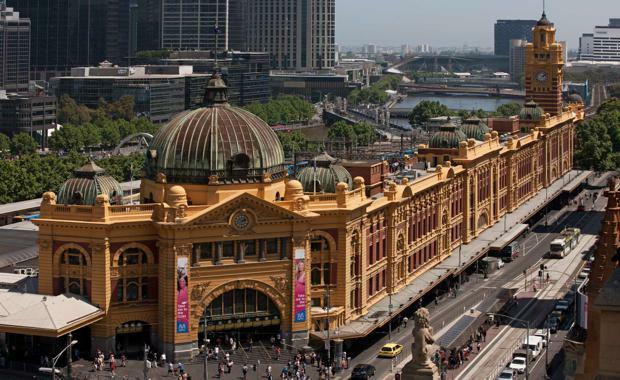 “Our practical project will fix Flinders Street Station – restoring the crumbling building, fixing the leaks, and making the station more functional for the 200,000 passengers that use it every day," he said. Work on the passenger improvements will begin in the middle of the year. The entire project is expected to be complete in 2018 and will create around 150 jobs.